Warner Bros' new Westworld game for mobile devices is a "blatant rip-off" of Bethesda game Fallout Shelter, according to a lawsuit Bethesda filed in a Maryland U.S. District Court this week. At issue are the similarities between the two games. In Fallout Shelter, which was first released in 2015, you run an underground bunker in the Fallout universe, directing your bunker inhabitants to build and run new facilities, go out on expeditions, and more, with the ultimate goal of building up the bunker. Westworld, based on the popular HBO show and released this week, uses a similar concept, with an underground Delos facility that players are required to build out to create AI hosts and satisfy guests in the park. The ultimate goal is to build up your underground Westworld facilities along with the above-ground park. In the lawsuit, which was shared by Polygon, Bethesda accuses Warner Bros and game developer Behaviour Interactive of breach of contract, copyright infringement, unfair competition, and misappropriation of trade secrets. Behaviour Interactive worked on both Fallout Shelter and Westworld. The Westworld game, says Bethesda, uses the same game design, art style, animations, and features as Fallout Shelter, in addition to stealing copyrighted computer code created for Fallout Shelter. As evidence for this, Bethesda claims Westworld has a unique bug that was also found in early builds of Fallout Shelter. According to Bethesda, Behaviour Interactive utilized its restricted access to Bethesda's intellectual property, including copyrighted code, to reduce costs and development time to bring Westworld to market faster. The Westworld game is a blatant rip-off of FALLOUT SHELTER. Working with the same copyrighted computer code used by FALLOUT SHELTER, Westworld has the same or highly similar game design, art style, animations, features and other gameplay elements as FALLOUT SHELTER, all of which are owned by Bethesda. Behaviour's breach of its contract with Bethesda is evidenced by the gameplay of Westworld, which uses the same copyrighted computer code created for Bethesda's FALLOUT SHELTER game. Behaviour's use of the computer code owned by Bethesda to develop Westworld even included the very same 'bugs' or defects present in the FALLOUT SHELTER code. 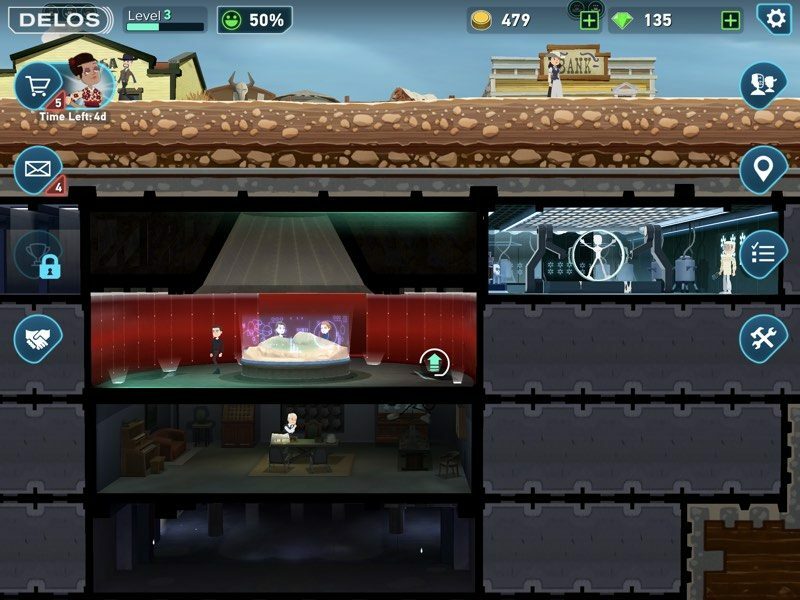 It's impossible not to see the similarities between Fallout Shelter and Westworld, and as is pointed out in the lawsuit, several reviews and stories on the Westworld game that have come out over the last few months have noted those similarities. 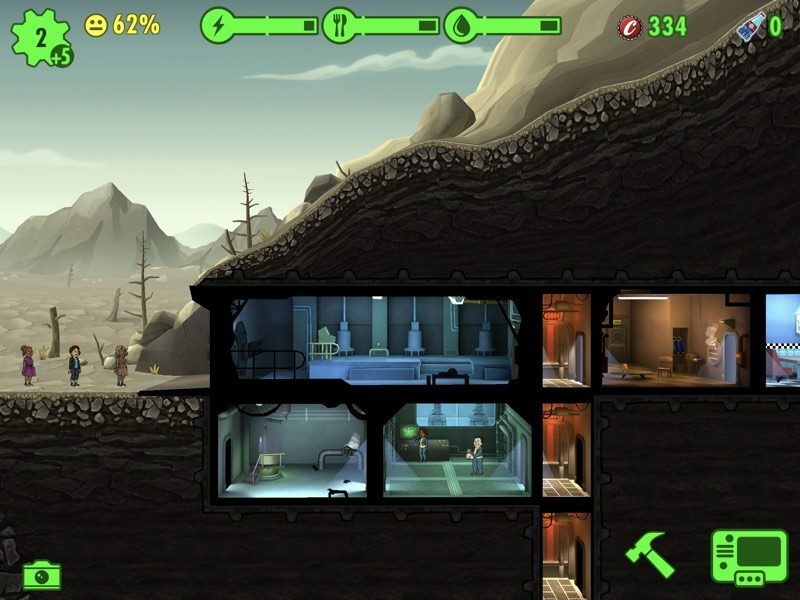 VentureBeat, for example, said in March that the "side-view user interface looks a lot like Fallout Shelter," while ShackNews said "Westworld mobile is definitely taking a page out of the Fallout book," during the same timeframe. In light of the alleged intellectual property theft, Bethesda has asked the court for a jury trial, statutory damages, and actual damages, along with restitution and lawyers fees and costs. The company is also asking for every version of the Westworld mobile game to be removed from distribution. Very interesting. I would think HBO will argue that their game is a type of "genre", and thus can't infringe on copyright - similar to many driving, racing, or fighting games. However it does look almost identical, and Bethesda is one of the few mobile developers with a bank account. It's not just that it looks similar, it apparently has some of the bugs that Fallout Shelter had in the beginning. They're claiming the company that they paid to make Shelter took the code and basically sold it again. Congratulations. You win 10 internet points. On topic: It sure looks like infringement. Normally I wouldn’t think they would have a chance but there’s enough here and if the bug is specific enough that was apparently duplicated they might convince someone that there’s fire with that smoke. Good luck to them, though. It’s not easy to win these. Downloading Westworld NOW before it gets pulled. Also mastered Fallout Shelter. My bet is Bethesda will lose. Why? I think Bethesda has grounds for the lawsuit and and a lot of the elements of the game are carbon copied from Fallout shelter. Boy you can really tell who read the article before commenting, and who didn't. As an IP attorney that played both games, this will come down to the vagrancies of the contract. It's a complete loser as a straight up IP lawsuit. The plaintiff faces a tough task -- all of the presumptions will be on the defendant's side. Why am I reading this article here?? Wow. Lots and lots of games in the iOS App store are rip offs. The outcome of this lawsuit will have cascading consequences. There aren't a lot of games on the App Store that are blatant code thefts like this one.